This April, I attended a series of meetings with the Pure Fishing/Wal-Mart executives at Wal-Mart Headquarters in Bentonville. 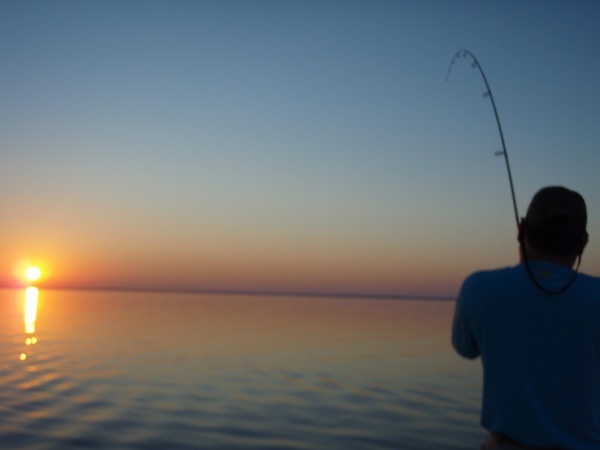 Our focus was to better serve Gulf Coast anglers with Pure Fishing(Berkley, Penn, All-Star, Spiderwire, Stren, etc.) 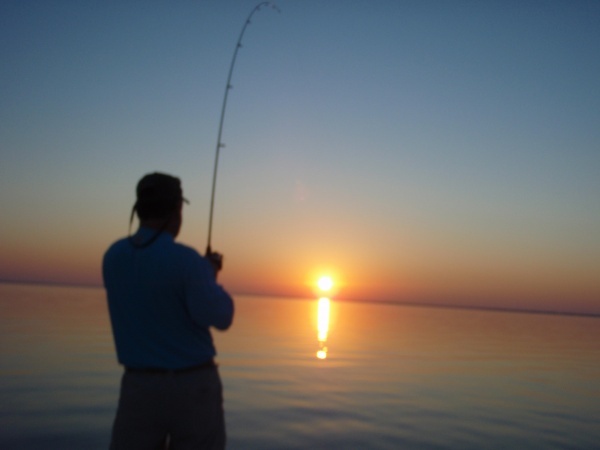 products in our region’s Wal-Mart fishing departments. 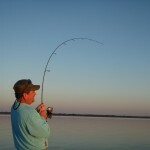 Today I guided Mr. Jeff Cope and Mr. Vince Minnick for some inshore redfish and speckled trout action. 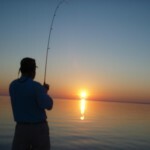 On the water at first-light and ran way east. 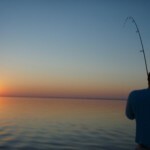 Found trout and redfish with mullet and bait along shallow banks. Further down the bank, we noticed some large wakes coming our way. 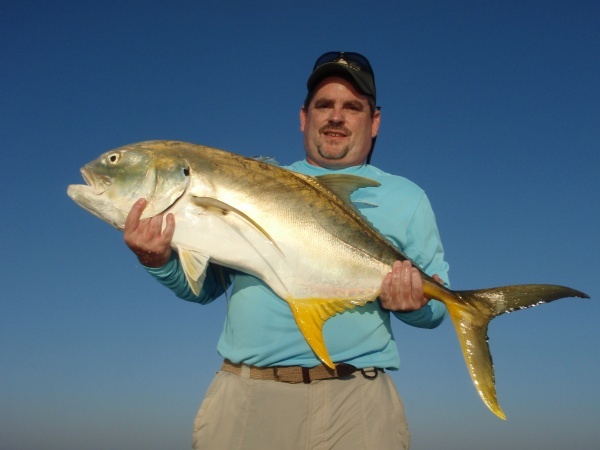 Last week it was large redfish and jacks. 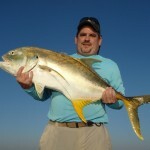 Today it was only huge jacks cruising the shallow water looking for schools of mullet. 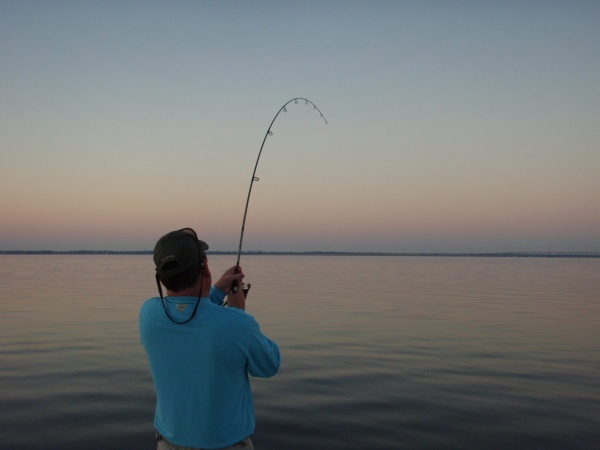 Got into position and landed some topwater baits in their path. 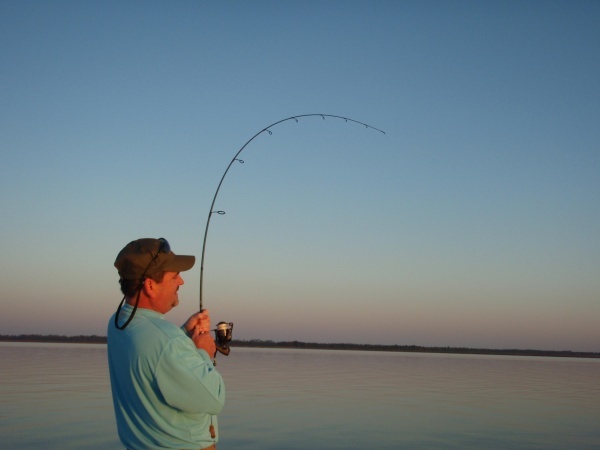 It was a great opportunity for Jeff and Vince to test the new All-Star ASR Redfish rods, the new Sargus and especially the Spiderwire Ultracast in 10# that I have been raving about. Both fellas drew tremendous strikes and Jeff was first to hook one of the beast. 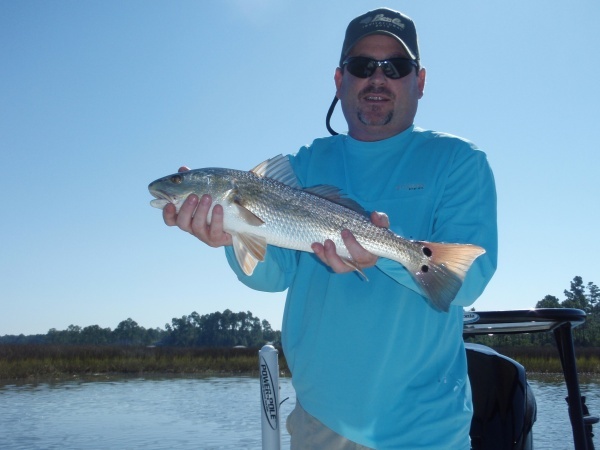 After a 30 minute brawl, Jeff’s jack was boat side and back to the redfish and trout. 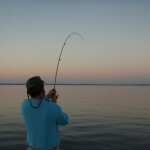 Covered some very shallow sandy banks once the sun was high and sight fished some medium redfish with Gulp! 3″ Shrimp in camo and 1/8oz. Johnson Gold Spoons. Dead water made it a little tough at times but Jeff and Vince were very impressive with their accurate casts, insticts and sight fishing capabilities. 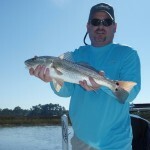 It was a great morning of fishing at Redfish University with two very good anglers. Off the water at noon and to the airport. 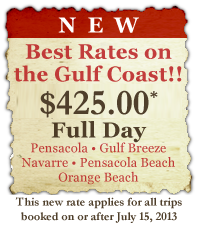 Book now to experience Redfish University.